My love for Vincent Price’s culinary work is relatively new, I joined the legions of fans clamoring about the magic of The Treasury of Great Recipes roughly two years ago. I’m a Midwest girl, I’m slow coming out of the gate, but once I fall – I fall hard. 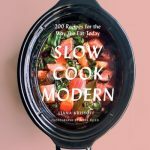 In correlation with the release of the 50th Anniversary Edition of A Treasury of Great Recipes, I wrote a piece for TasteBook. You may check out that story here which touches on the popularity of this title. 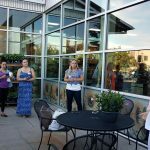 Meeting Victoria Price and learning more about her dad’s passions and life was a highlight of 2015 and I was grateful to share that experience through TasteBook. The anniversary edition is in our hands and it will join a spot next to the original on our shelves. It is just as lovely as it still has that old Hollywood quality look but on updated stock with sharper photographs. Fans of the cookbook state that their favorite recipes include the Banana Bread, Amaretto Cake, Luchow’s German Pancakes, Yorkshire Pudding and Hollandaise Sauce. Want to make a Bloody Mary or fold a napkin perfectly? The Treasury can help you there. We know these recipes were well tested and prepared repeatedly over the decades by many cooks. 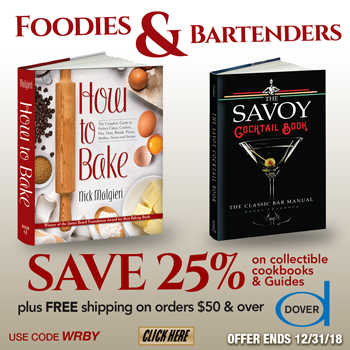 Dover Publications made the 50th Anniversary Edition of this fabulous book possible and I am working with them to offer a great price on cookbooks through the middle of January. To the right, you will find a Dover ad block with a photo of Vincent Price. If you click on that box, it will take you to the cookbook section of Dover’s site. If you place an order, you will receive 25% off your total using the promo code shown. Dover has other titles as well – browse while you are there. This is a great deal in time for holiday shopping. Each month there will be a new Dover ad with a new code – be sure to keep checking back. GIVEAWAY: To celebrate this collaboration, Dover is generously offering A Treasury of Great Recipes 50th Anniversary Edition to one of you. This giveaway is open worldwide! To enter, check out the Dover site and comment back here letting me know which cooking title looks good to you. For a second entry, please share this post (be sure to leave a second comment). You may come back daily and comment for additional entries. A random winner will be chosen on September 20th. Good luck! Random Number Generator picked #19 – Marcia R.
Diane, did you visit the Dover site – and look at the books? A Thousand Ways To Please A Husband looks interesting. Definitely “A Thousand Ways to Please a Husband”. I need some fresh ideas! I’m intrigued by The Settlement Cook Book 1903. 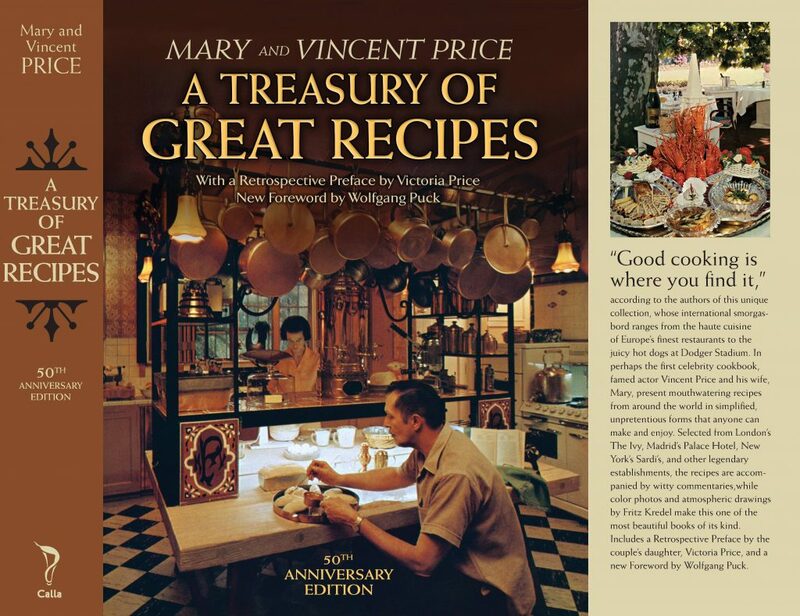 A treasury of great recipes… Always wanted a copy. Nice Dover is reprinting. Of course, it would be fun to check out the other vintage books they have. The Picayeune Creole book, the Estes and the Miss Beecher’s caught my wandering cookbook eye. I’m embarrassed to admit that I’ve never made a soufflé. The Soufflé Cookbook seems like the right choice for me. Old-Time New England Recipes, I love anything New England. The Toll House tried and true. Great place before it burned down in Whitman, Massachusetts. I would like one of their adult coloring books – Christmas Trees would be great! Makes me wish for Christmas right now. A Thousand Ways to Please a Husband: with Bettina’s Best Recipes, Toll House Tried and True Recipes, and Austrian Cooking and Baking look very interesting. Even if I win, I’ll order from great titles on Dover website. Thousand ways to please a husband! I’m interested in the Fannie Farmer cookbook. What a great collection of classics they have! The First Americn Cookbook sounds like the one that interests me. A thousand ways to please a husband please!! Happy Labor Day Weekend to all! The Fannie Farmer Cookbook. The one I used to have is missing. Oh, it’s Saturday, it’s Saturday! Now if this guy would finally marry me, he’d definitely benefit from A Thousand Ways To Please A Husband, not that he doesn’t already get the milk for free. The Toll House book looks like a classic for me. When we were in L.A, Adam and I went to the house they used for the Vincent Price movie House On Haunted Hill. We also went to the LaBianca house, geez I’m kind of creepy, aren’t I? This book looks just so interesting. It would be a fun glimpse into that time period. My first choice would be A Treasury of Great Recipes 50th Anniversary. 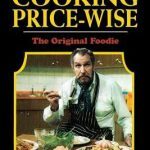 I just love Vincent Price and I’ve wanted to see this cookbook for awhile now. The second choice of mine would be A First Cookbook For Children. After the 50th anniversary book I’d like the children’s cookbook. Just checking out Dover Publications again, and found out that they are having a flash sale on some of their coloring books. The Toll House cookbook. Great old fashioned recipes of New England cooks. Looks great. Gotta have this one! 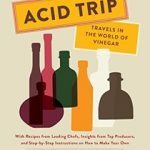 Looks like a great cookbook. Native Harvests is cool looking! It’s the weekend! Everyone have a good one! I live in the high desert of SoCal, and it seems we are having an early fall this year. It may be a bit hot out, 98°, but there is a bit of a coolness to the wind. This usually doesn’t happen until at least the second week of October. We are loving the weather and are can hardly wait for a cooler winter. Maybe we will get snow again! It’s been about 10 years since we had a good snowfall. Happy Week! I love Dover Publications. I got so many books for the kids while I was homeschooling, and always at a great deal. This book makes me nostalgic for the olden days when I first learned to cook. Checking out Dover again, and I see they have a National Parks Coloring Book. Would be nice to get. I wonder if they have a picture from Joshua Tree Nat’l Park. That’s almost right around the corner from me. Just saw The House on Haunted Hill again. The Hawaiian Cookbook and The Old Fashioned Ice Cream book look good to me, along with many others. I signed up for Dover’s emails and got some free samples of books emailed to me. I shared on FB, Twitter, and Pinterest. By: George Barr. It would be a great help to her as she teaches her children science. Just got off the phone with my mother. It’s her birthday today. I would love to make her something from this recipe book.